Litigation and Dispute Resolution Co-Head Mark Side and Solicitor Winnie Wat were delighted to take part in judging this year’s Willem C. Vis East International Commercial Arbitration Moot. 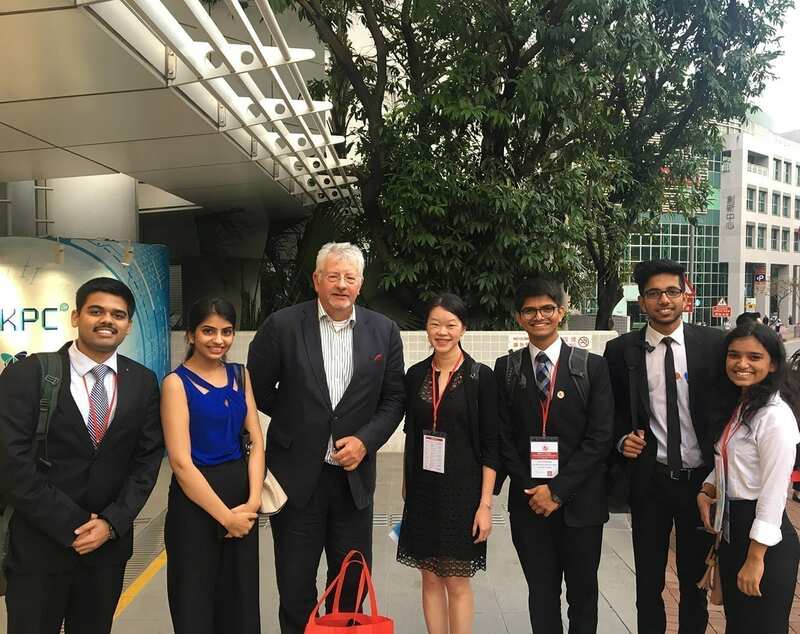 The competition was hosted by Vis East Moot Foundation Ltd, The Chartered Institute of Arbitrators (East Asia Branch) and City University of Hong Kong, School of Law. The Willem C. Vis East International Commercial Arbitration Moot (the “Vis East Moot”) is the 2nd largest commercial arbitration mooting competition in the world. It originated from Vienna and began in 2002. The competition aims to promote the study of international commercial arbitration and train tomorrow’s legal leaders for arbitration. This year, the competition was held from 31 March to 7 April 2019, with 137 teams from 34 jurisdictions competing in Hong Kong. The dispute concerned an international sale of goods trading under Delivery Duty Paid (DDP) terms. The trade was adversely affected by an unexpected retaliatory tariff of 30%. For the first time, the arbitration is governed by the recently revised 2018 HKIAC Administered Arbitration Rules which took effect on 1 November 2018. Tanner De Witt has extensive experience in representing clients in both domestic and international arbitration administered by Hong Kong International Arbitration Centre (HKIAC), China International Economic and Trade Arbitration Commission (CIETAC), International Chamber of Commerce (ICC), London Maritime Arbitrators Association (LMAA), the core legal body of the UN core legal body of the UN system in the field of international trade law, United Nations Commission on International Trade Law (UNCITRAL) and others . Find out more about our Arbitration practice at this link.